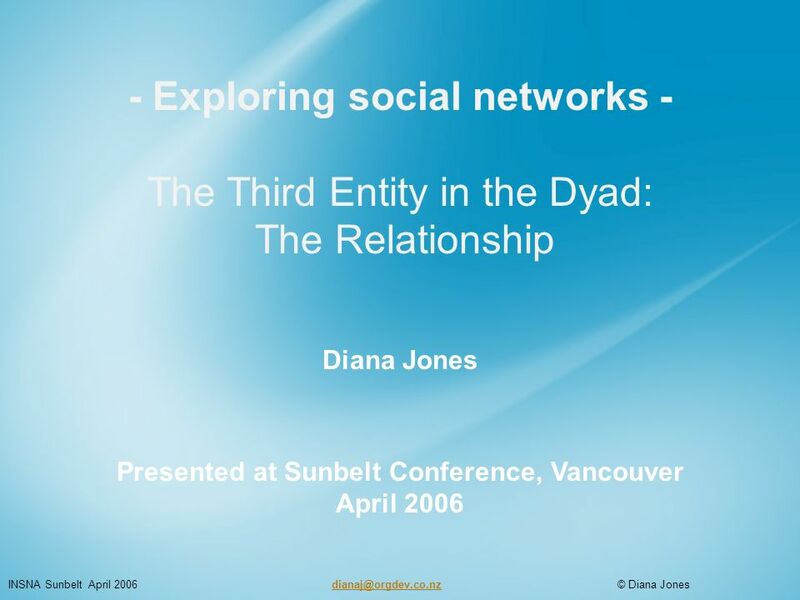 - Exploring social networks - The Third Entity in the Dyad: The Relationship Diana Jones Presented at Sunbelt Conference, Vancouver April 2006 INSNA Sunbelt. 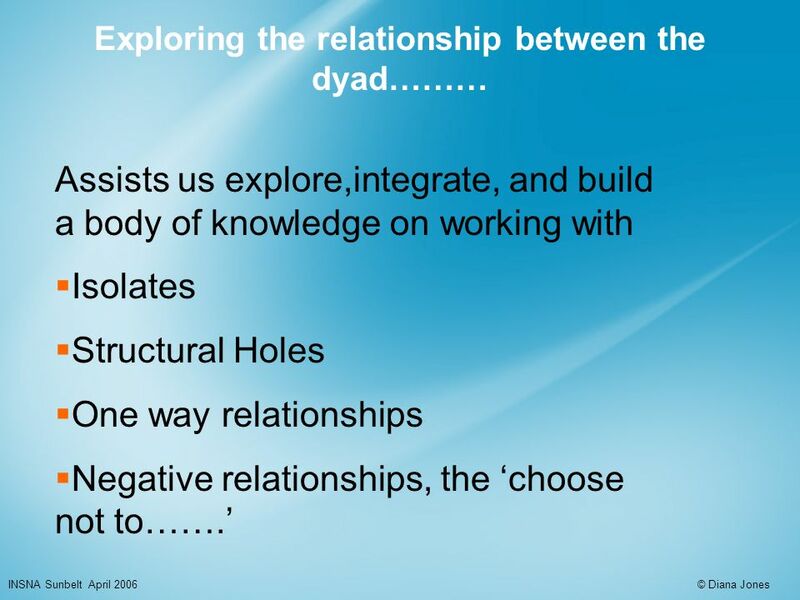 7 Third option: what is the relationship between this dyad? 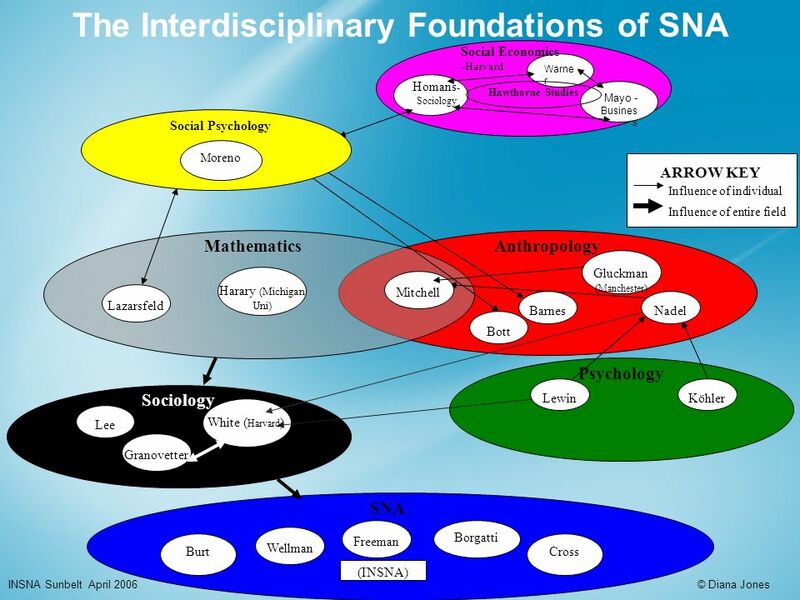 A B C INSNA Sunbelt April 2006 © Diana Jones Is this relationship a structural hole? Are the A and C aware of one another? 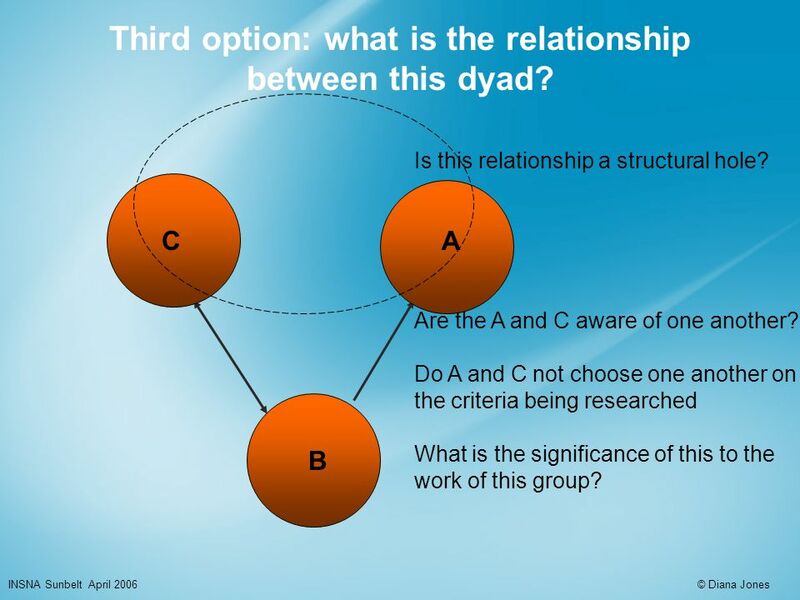 Do A and C not choose one another on the criteria being researched What is the significance of this to the work of this group? 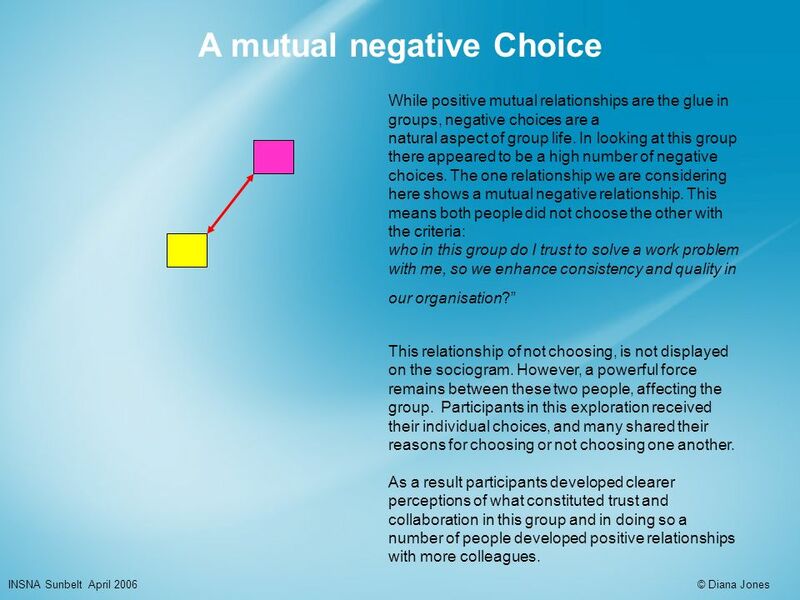 14 A mutual negative Choice INSNA Sunbelt April 2006 © Diana Jones While positive mutual relationships are the glue in groups, negative choices are a natural aspect of group life. 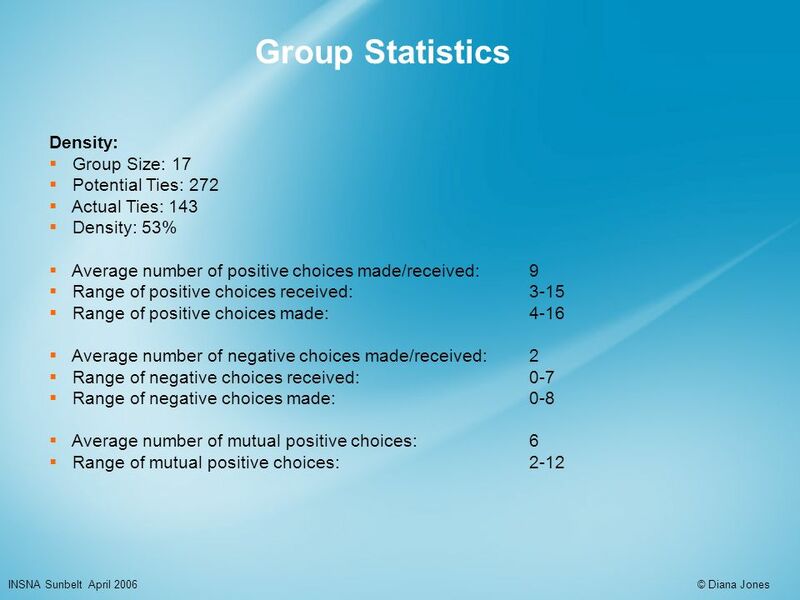 In looking at this group there appeared to be a high number of negative choices. 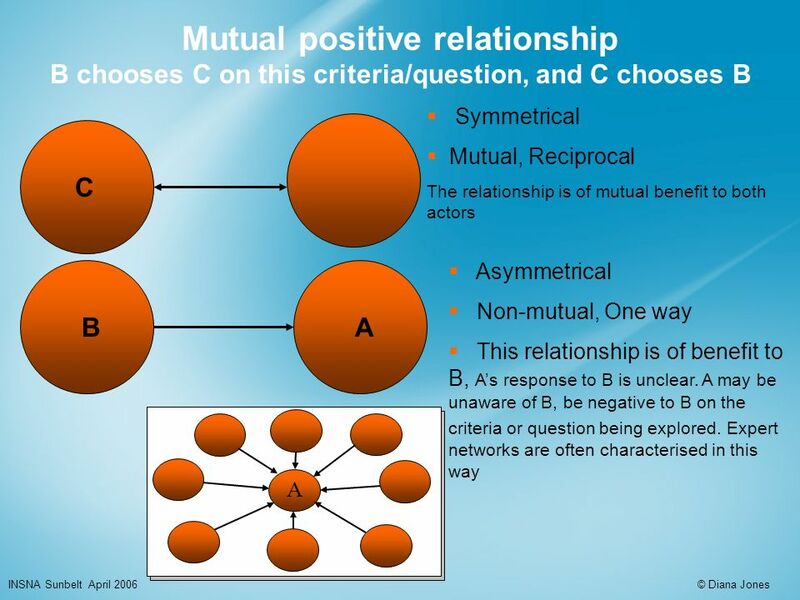 The one relationship we are considering here shows a mutual negative relationship. 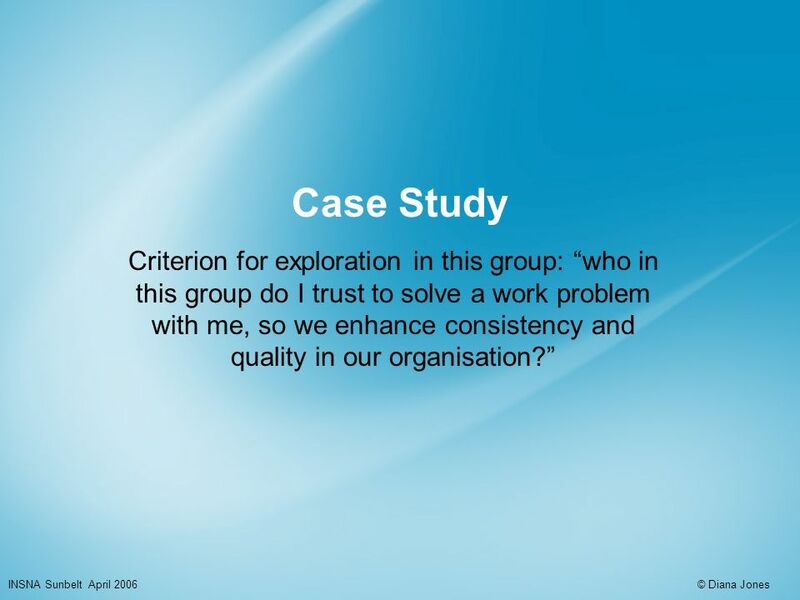 This means both people did not choose the other with the criteria: who in this group do I trust to solve a work problem with me, so we enhance consistency and quality in our organisation? 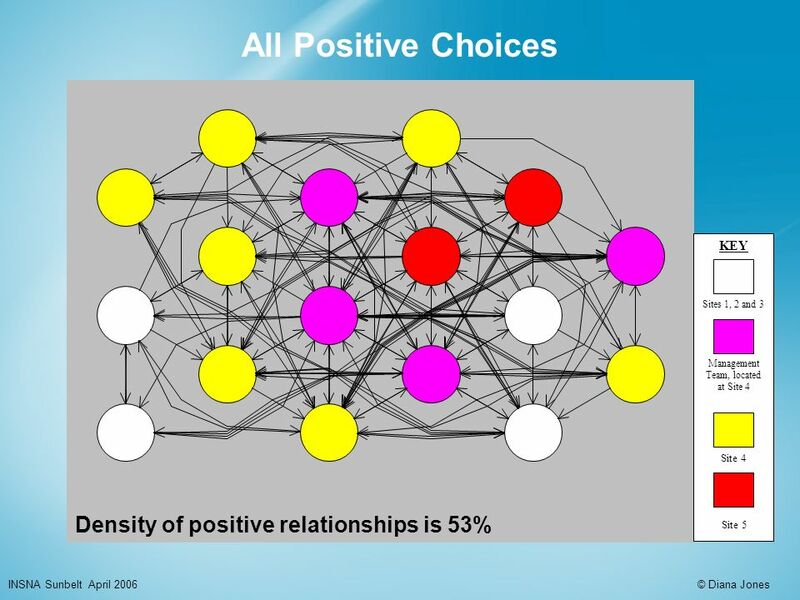 This relationship of not choosing, is not displayed on the sociogram. However, a powerful force remains between these two people, affecting the group. Participants in this exploration received their individual choices, and many shared their reasons for choosing or not choosing one another. 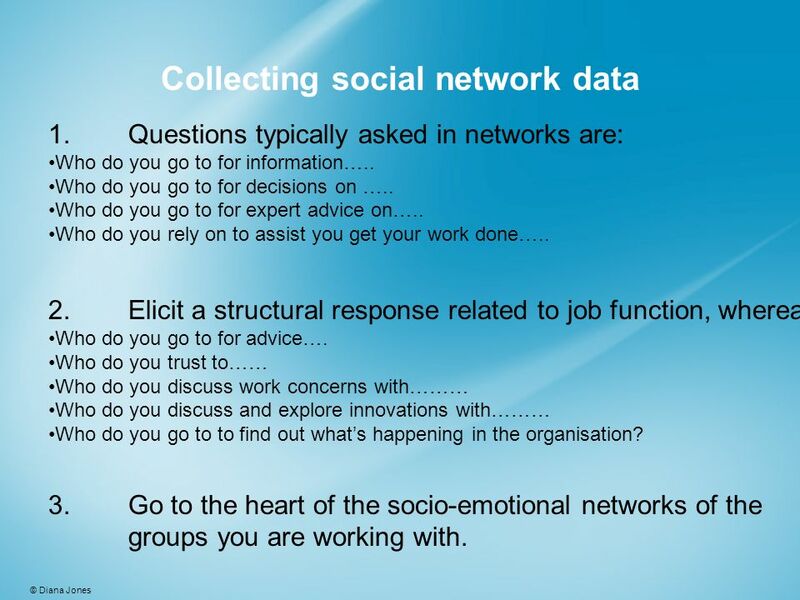 As a result participants developed clearer perceptions of what constituted trust and collaboration in this group and in doing so a number of people developed positive relationships with more colleagues. 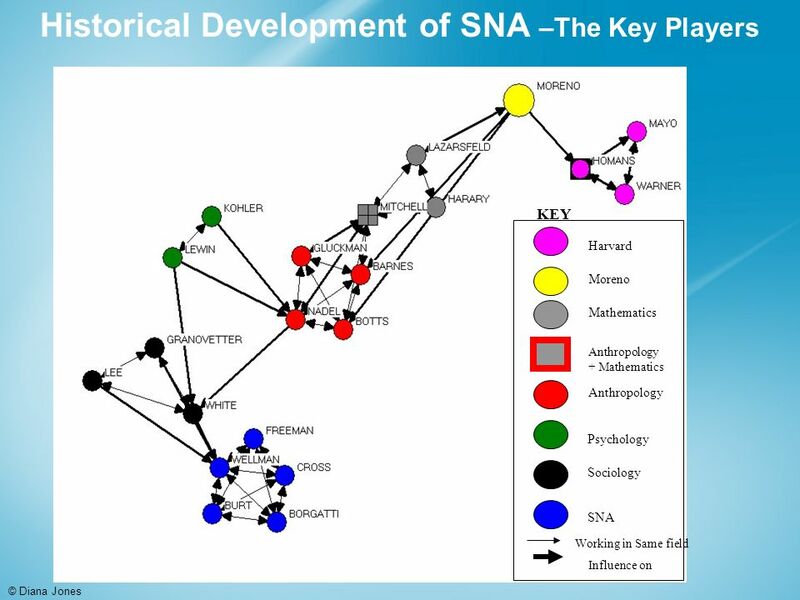 Download ppt "- Exploring social networks - The Third Entity in the Dyad: The Relationship Diana Jones Presented at Sunbelt Conference, Vancouver April 2006 INSNA Sunbelt." 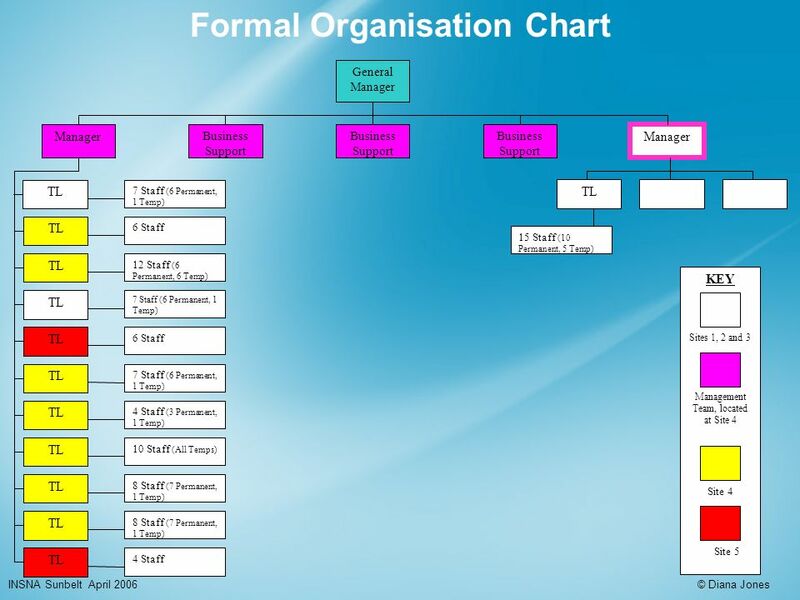 1 Copyright © 2011 by Mosby, Inc., an affiliate of Elsevier Inc. Chapter 9 Developing Management Skills. STREAM ANALYSIS Diagnosing Organizational Change Peg Lucky & Tom Kriesel HPRCT 2010. TCE Board Presentation February, 2006 Evaluating the Initiative Oakland, CA - Seattle, WA. Methods Enabling Constituency Voice in Impact Evaluation for Improving Development Andre Proctor, Keystone March 2009. 1 Problem Solving in Groups SFF Project Workshop pm 2nd April, 2003 Acknowledgement Community Toolbox, Bringing Solutions. 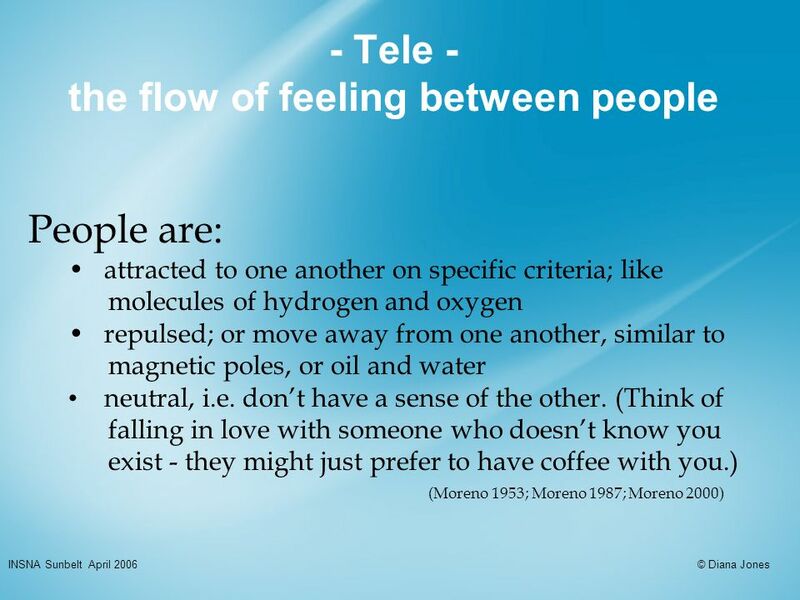 1 Traits, Behaviors, and Relationships. 2 Ex. 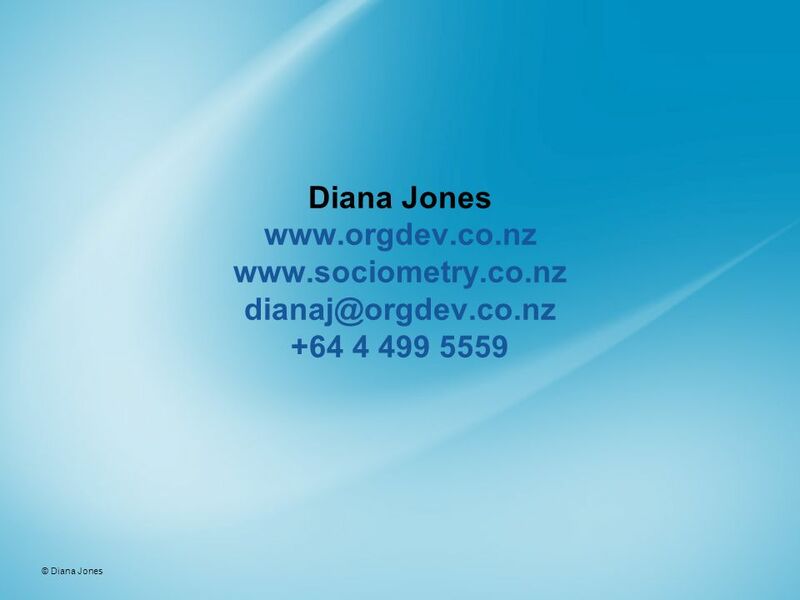 2.1 Personal Characteristics of Leaders Personal Characteristics Energy Physical stamina Intelligence and. 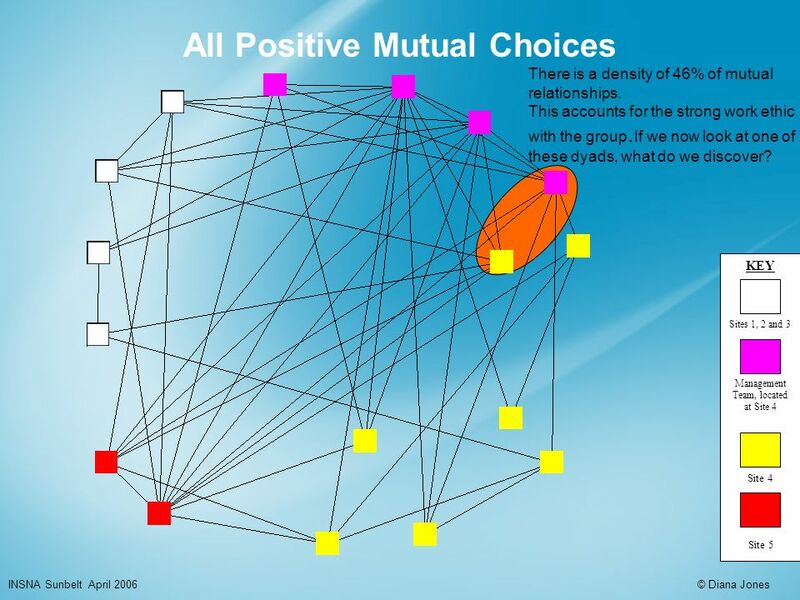 Shared Decision-Making November 29, 2007 LEARNERS=LEADERS.